So I finished this audiobook back in July but it has taken me this long to write the review because in this book I fell out of love with Mr Reacher. It hurts me to say this and I am always the first to be on #TeamReacher side but in this book, to me, he seemed like such a busybody and stuck his nose in where it really did not belong. I would hate to visit these two towns called Hope and Despair in Colorado, you really would want to be on the side of Hope! Despair is the working town, everyone works for the local Preacher who runs the town and above all they hate strangers. Reacher, the wanderer as always, hitching a ride and wants a cup of coffee in Despair instead he winds up in jail and heading back to Hope being told that he is never to step foot back in Despair. Does he listen? Does he heck! Jack is hell-bent on trying to find out what is going on in Despair and why do people keep disappearing? Throw in some political moves and a couple of far-fetched sequences and this is the book you have. I was intrigued to figure out why men were disappearing and why the girlfriends would not say a word to what was going on. There was a heartbreaking moment in the book, and it really was that, such a tender moment for one character. 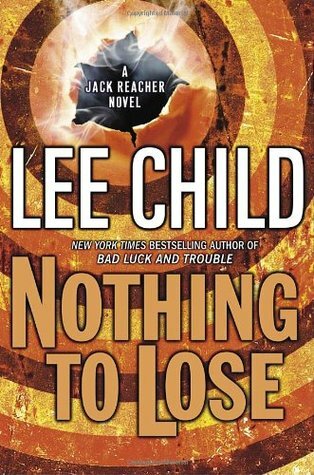 I will say I did love Reacher toying with Despair police driving them out and about all over the town in a beat-up car. Now that was comedy. Jeff still does a good job narrating, but like the previous books, he seems to be a bit shouty with Reacher which can be a bit off-putting and it took me a while to finish this story. Do not get me wrong I will be carrying on the series as I am invested I just found this one a little flat and did not have the usual flare of Reacher. Me and Reacher are just on a break!